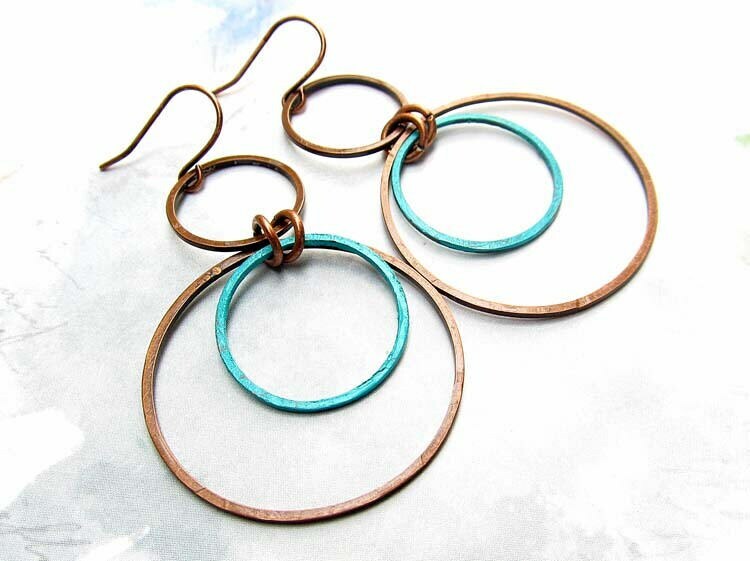 Fun antiqued copper hoop earrings with a pop of turquoise color. I hammered 2 different size copper hoops and painted the inner hoop a cheerful turquoise color. Super light weight and easy to wear!